I Hit the Vintage Pattern Jackpot! Sometimes I can’t believe the stuff I find in thrift stores! 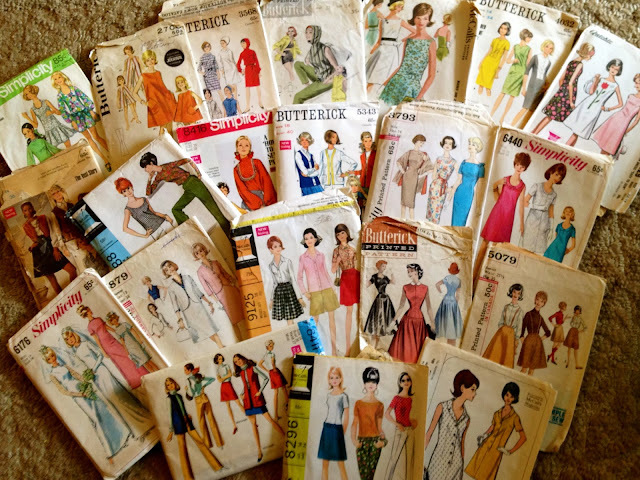 The majority of these date from the 1960s, with a couple from the fifties and seventies. I’m saving a few for myself, but most are going up in the shop. I have 10 of them up so far. Stay tuned!